Let me introduce you to this sweet little guy! He has to be the happiest little man. 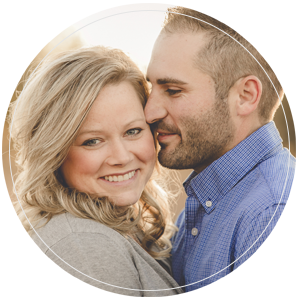 He is part of my Grow With Me Package, which includes a maternity, newborn, 6 month, and one year session! I was so excited when his mom said she had a couple outfit choices that were part of their family’s hobbies and an outfit that belonged to this little guy’s grandpa when he was little. I think that it’s so cool to be able to incorporate things into your photos that truly are important to the family. For example, we did a duck hunting setup as one. It’s so cute as they brought in the duck decoys, shell boxes, calls, etc to really enhance the setup, and I’m so excited with the way these turned out! Then the little bibs were his Grandpa’s when he was little, and oh my goodness…some of these shots are just priceless! His facial expressions crack me up in these as he’s SOOO cute! Then we also did a few in just a simple onesie. As you know, I’m a big fan of keeping things simple and timeless. I really love the way these turned out as well. And then the ones where he’s in a Pepsi crate are really cool because just 6 months ago he fit in that crate laying down as a newborn! It’s so crazy how fast time flies and how much these little ones grow and change looks so quickly. This is the reason I love when parents select the Grow With Me Plan as we then have the option to showcase some of these really adorable setups at each of the different milestones to display just how much they’ve changed. Check out some of my favorites from this 6 month session. If you’d like to see his newborn session, simply click here! If you’d like to see the maternity session, simply click here! Amanda Oakes Photography is a Quad Cities baby photographer who also specializes in newborn and family photography, engagement and wedding photography, and maternity photography. This includes photography services in the Moline, IL, Rock Island, IL, Davenport, IA, Bettendorf, IA, Muscatine, IA and the greater Quad Cities area.